CONGRATULATIONS TO ELLIS AND LYNITA ON THE BIRTH OF ANNALISE JOY!! 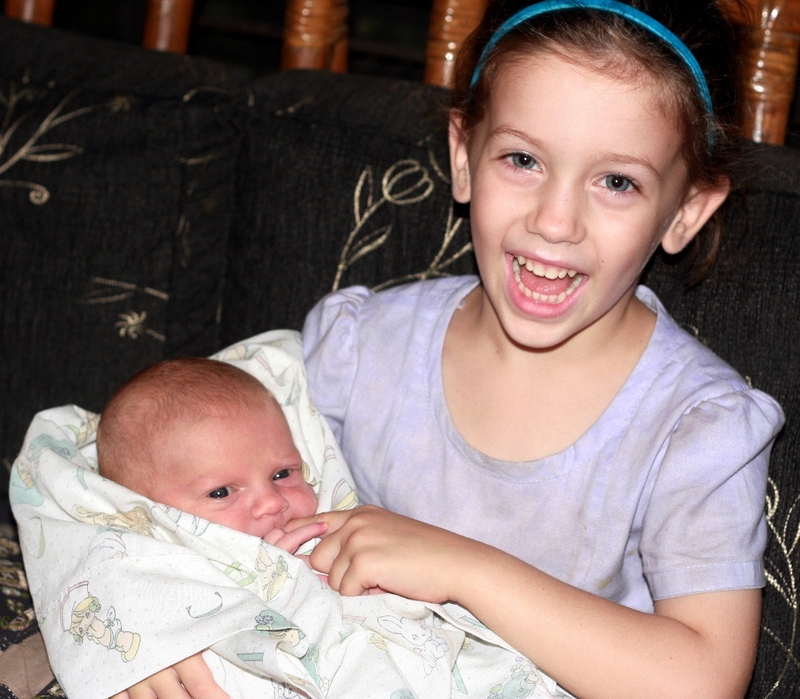 Here is big sister (Kirsti) proud of her new little sister, Annalise Joy! 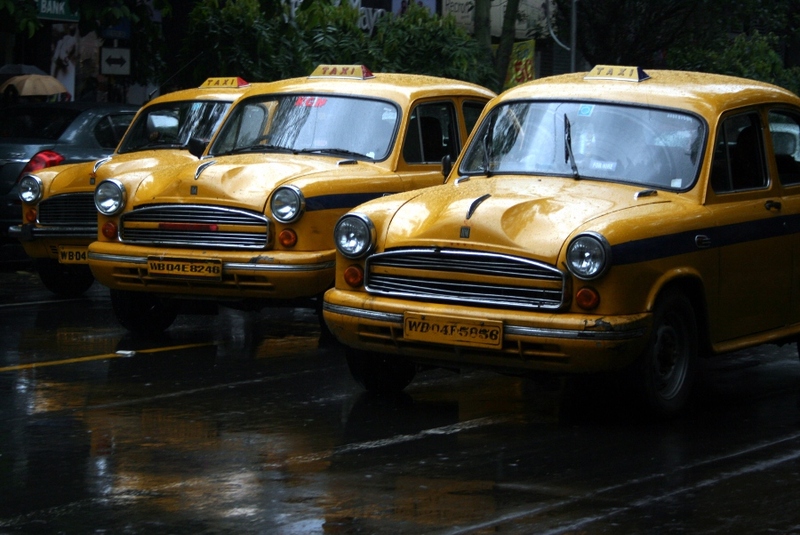 YELLOW CABS OF KOLKATA (Calcutta), India. Ever since I saw photos of my grandson sitting on the hood of a Kolkata cab, I wanted to visit the city. I wasn’t disappointed, since the city is still full of these nice looking cabs. Is it nostalgia thinking of the old cars in the U.S. that I was place on for photos? Maybe, though these are still being produced so maybe they haven’t changed over the years. 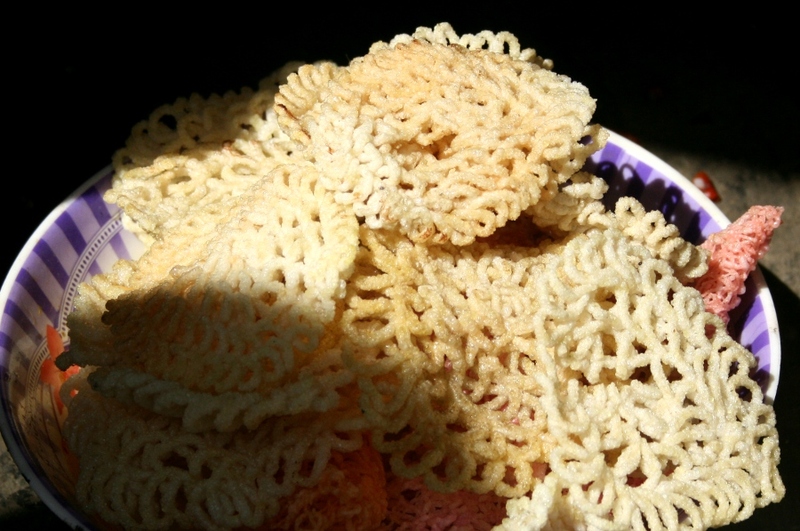 This is my first photo of our 10 day visit to Kolkata. 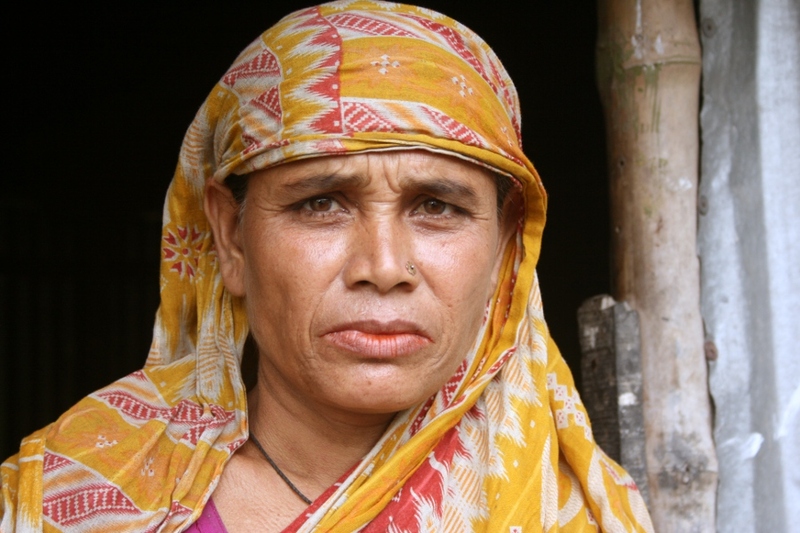 I had forgotten my card reader, so had to wait until returning to Dhaka to post photos. Coming home God provided protection for my laptop. While navigating the rough street to the ferry ghat my backpack with the computer in it came hurtling down on to the floor of the bus! I had it wrapped in two pieces of clothing for protection. Upon arriving home I saw that the battery had started to come apart from the computer. I shoved the battery back into place, started up the computer and there appeared to be no damage! A blessing to be thankful for indeed! Hope you don’t mind, as there will be many more Kolkata photos in the days to come. 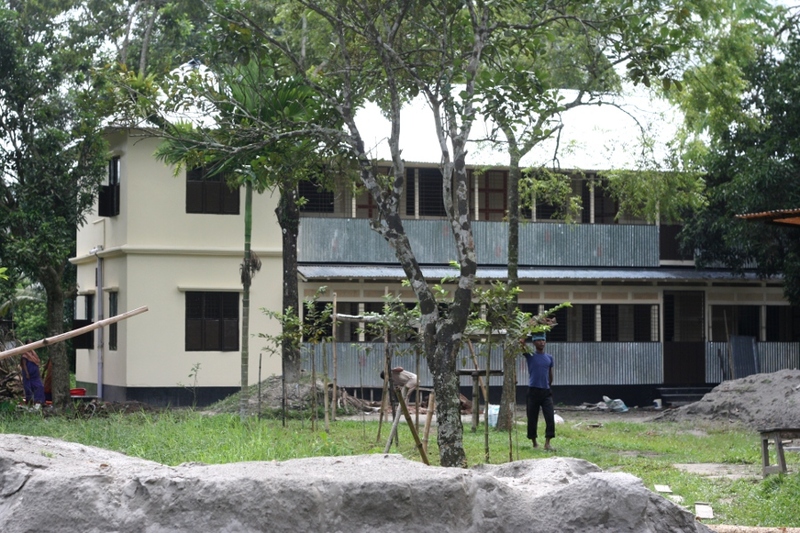 MCC’s NEW OFFICE BUILDING and Guesthouse at the R & D location in Mymensingh. DEEPA SAYING GOOD-BYE TO US, or is she saying hi to Austin? 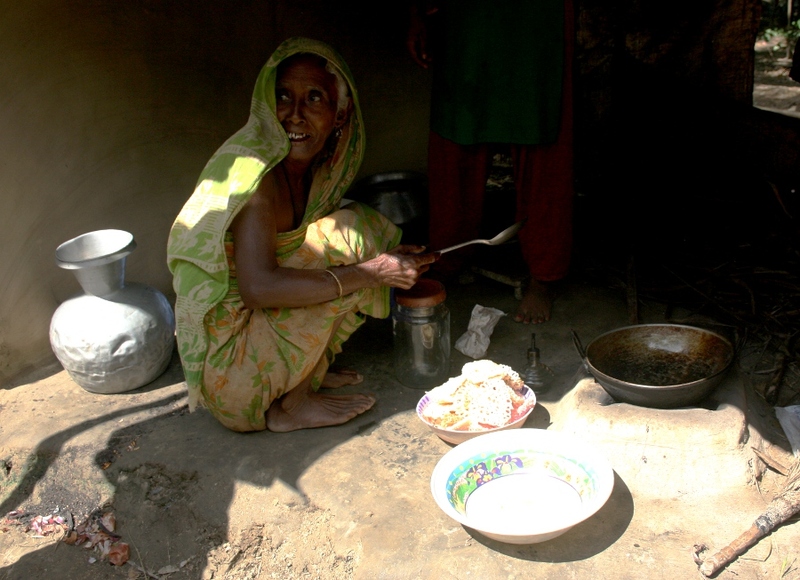 BENGALI LADY FRYING PITAS in Bailor Village near Mymensingh. ALICE UTILIZING HER BANGLA IN A CONVERSATION WITH this Bengali lady who is processing some harvested rice. 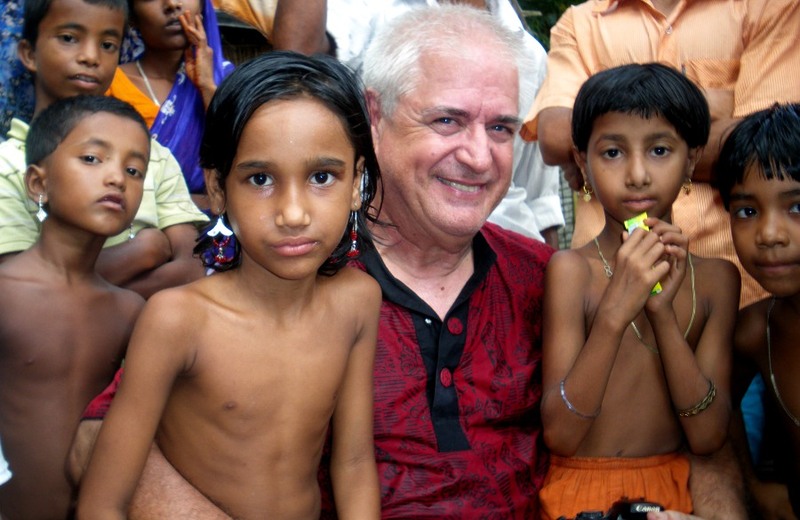 THE PIED PIPER IN BANGLADESH? NO! Just a young lady from Indiana passing out stickers to the Bailor village children. 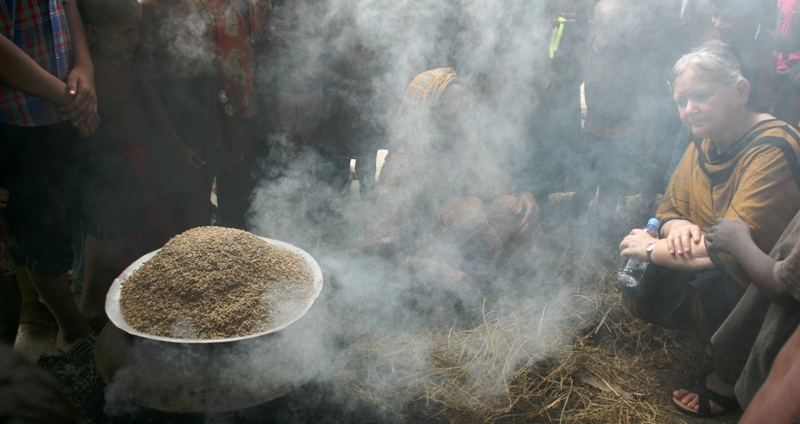 RICE HARVEST IN BAILOR VILLAGE NEAR Mymensingh, Bangladesh. I FOUND SOME FRIENDS IN THIS BENGALI VILLAGE. 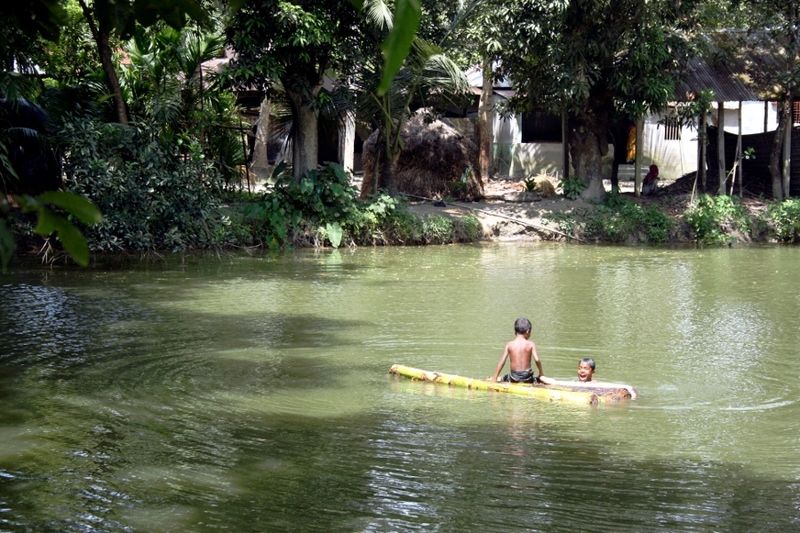 BENGALI BOYS HAVING FUN in the water with bamboo raft.